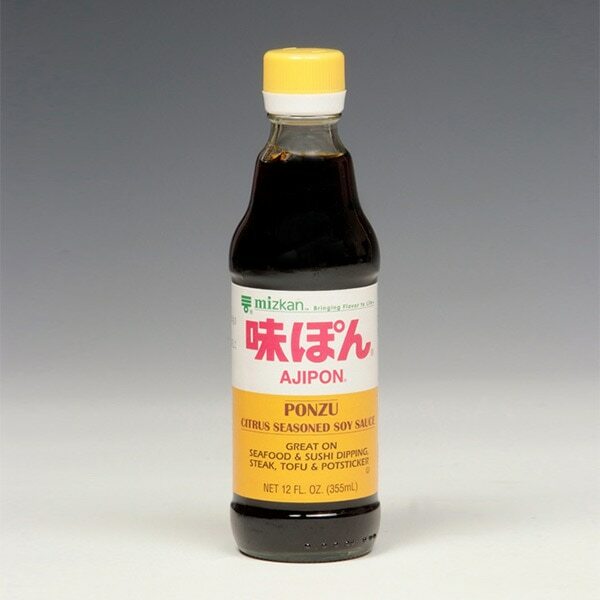 Ponzu is a Japanese condiment made of soy sauce, citrus juice, and vinegar. The taste is refreshing with a tint of tartness. It’s used as a dipping sauce for sushi, sashimi, dumpling, and also as salad dressing. Ponzu keeps well in the refrigerator, for up to a few months.